I’ve owned several metal detectors, a Bounty Hunter and a Teknetics, and recently purchased an AT Pro from you folks. I was out in my yard learning the controls and had a hit that made me dig. I found an unrecognizable disc. As I brushed it I found writing and an image. 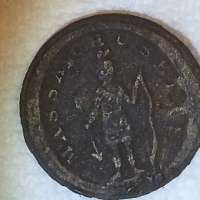 The writing said “Massachusetts” and the image was a Native American holding a bow in his left hand and an arrow in his right. My son, who also bought an AT Pro from you, helped me research it online and we found out that it is a coat button from a Massachusetts militia uniform. 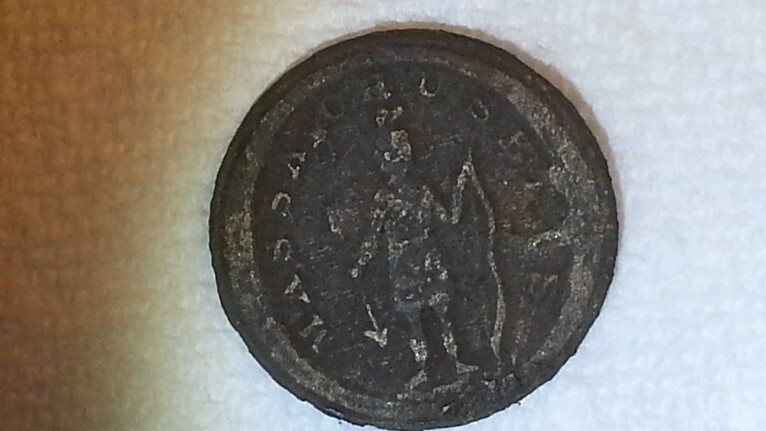 One source online says that it was made in the 1820/1830 time frame. Apparently the War between the States caused it to come South. How it made it’s way to a yard in Georgia just adds to the mystery since there was no battles or skirmishes in this area.